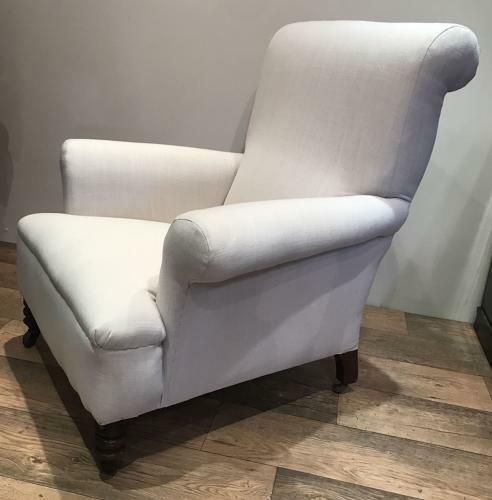 A lovely 19th century English library armchair with nice proportions. Nice curved back with a rolled top. Turned front legs with original brass casters. Re-upholsterd with natural linen fabric. Circa 1880.